Below you will find all of the classes currently offered by IAAI International and IAAI Chapters who have submitted their classes to be included here. Click on a International class name to view information about it and register. Under each International class name is a list of the currently-schedules session of this class. Click on any session to view its details and register. Under the Chapter Conferences and Training title is a list of currently offered Chapter events. Click any event to view information about it and register. If you would prefer to view all events together by date, please view the Full Training Calendar. You will need to be logged in to register for a class given by IAAI. Forensic Photography — Basic No sessions are currently scheduled; please call IAAI at 800-468-4224 for more information or to host this class. Forensic Photography — Advanced No sessions are currently scheduled; please call IAAI at 800-468-4224 for more information or to host this class. Electrical Fundamentals No sessions are currently scheduled; please call IAAI at 800-468-4224 for more information or to host this class. Expert Report Writing No sessions are currently scheduled; please call IAAI at 800-468-4224 for more information or to host this class. Fire Dynamics No sessions are currently scheduled; please call IAAI at 800-468-4224 for more information or to host this class. 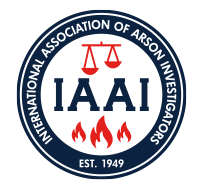 Investigating and Litigating Fire Losses for Subrogating Insurance Carriers No sessions are currently scheduled; please call IAAI at 800-468-4224 for more information or to host this class. Investigating Youth Set Fires No sessions are currently scheduled; please call IAAI at 800-468-4224 for more information or to host this class. Marine Fire Investigation No sessions are currently scheduled; please call IAAI at 800-468-4224 for more information or to host this class. Motor Vehicle Fire Investigation — 2 Day No sessions are currently scheduled; please call IAAI at 800-468-4224 for more information or to host this class. NFPA 921 Update No sessions are currently scheduled; please call IAAI at 800-468-4224 for more information or to host this class. Origin and Cause No sessions are currently scheduled; please call IAAI at 800-468-4224 for more information or to host this class. Additional Classes No sessions are currently scheduled; please call IAAI at 800-468-4224 for more information or to host this class. IAAI Chapters also offer training classes. Chapter classes submitted to International for listing on firearson.com are shown here. For more information on IAAI Chapters and links to their individual web sites, go to the blue navigation bar at the top of this page, and under "About IAAI" select "Chapters".